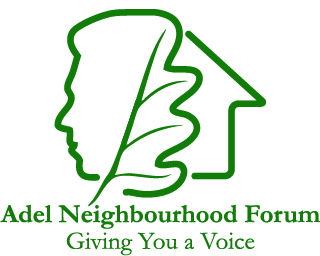 The purpose of the Adel Neighbourhood Forum, which is a recognised body of local volunteers, is to give Adel Residents a voice on housing developments & homes and the issues arising from such developments on Schools,Transport & Traffic, Landscape, Heritage, Shops & facilities and Community amenities. Our Vision is to build on our ancient history and ensure that future developments help define, protect and enhance Adel as a modern settlement in its own right known for its landscape, green spaces and gardens together with the character of its buildings. The quality of our amenities, facilities and education provision will also be major priorities which will help to strengthen our sense of community. Excellent accessibility to the city and airport will be increasingly important for economic and social benefits. Proposed Objectives and Policies can be found in the Policies Section. At the AGM on 18th July 2018 Members of the Adel Neighbourhood Forum unanimously elected Ian Bond as its Chairmen, Jeremy Emmott as Vice Chairman, Cllr Caroline Anderson as Secretary and Graham Bond, no relation to the Chairman, was elected as Treasurer. Ian Bond has lived in Adel for the last thirty years. He is a retired Senior Children’s Services Manager and was also a Chair and Governor at Ralph Thoresby High School. Ian said “Credit should be given to the whole Community as the first non- Parish Church community to apply for Neighbourhood Forum status in the area”. After being a partner in national and international law firms, Jeremy now runs his own niche employment law practice. Jeremy has lived in Adel for over 35 years and has brought up his family here. He is a keen walker and cyclist, both locally and farther afield and has a particular interest in historic buildings. Caroline was actively involved in the group of residents who developed the Adel Neighbourhood Design statement. She then became the Secretary of the Adel Association when it was formed following the completion of the Design Statement. She has now taken on the role of Secretary to the Adel Neighbourhood Forum Group. Graham is a Fellow (FCA) of the Institute of Chartered Accountants in England and Wales and a Fellow (FCT) of The Association of Corporate Treasurers at which he was previously an Elected Council Member. He has had a career in corporate treasury management, working in and advising medium and large international companies. He is an active committee and playing Member of Headingley Golf Club and has been a resident of Adel for over 20 years. Cllr. Barry Anderson has been the Councillor for the area since 1999. 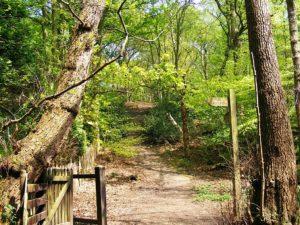 He actively encouraged residents to develop a Neighbourhood Design Statement through his interest in planning matters. Subsequently he encouraged the reformation of the Adel Association as a group which could influence issues affecting the Adel area. He is a Member of the Steering Group and is advising on the development of its Plan. John is a Fellow of The Chartered Institute of Marketing and Fellow of the Institute of Directors. He has been a resident of Adel for over 30 years and is a Vice President of Adel Cricket Club. 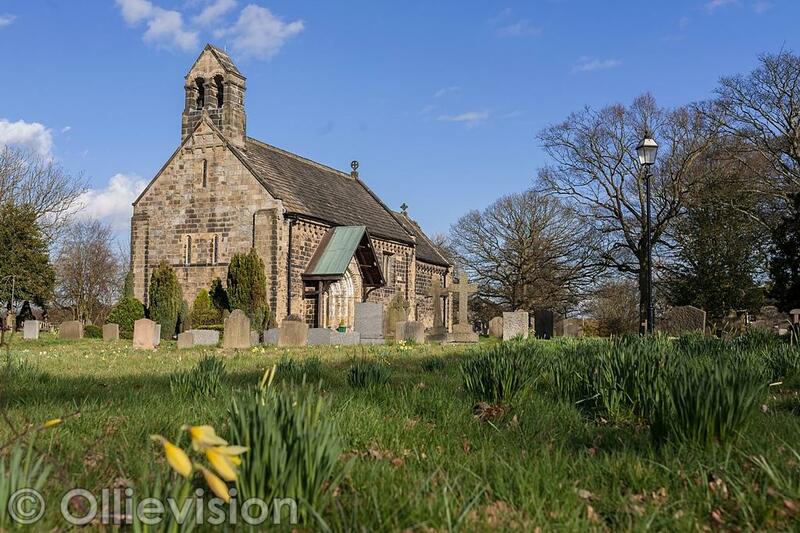 He was Chairman of the Adel Parish Church, Fund Raising Committee which successfully obtained finance for the repair of the Belfry. ALLAN DAWSON Steering Group Member, Education Focus Group. A Governor at Adel St John the Baptist Church of England, Primary School and a member of Adel Parish Church, Parochial Church Council. His family business is providing nursery childcare as a private provider in the Leeds area. He has lived in Adel for 28 years and is keen to keep the identity and community of Adel as both distinctive and welcoming. Sarah has lived in Adel for 13 years. A graduate from Birmingham University with a bachelor degree in Music and also holds post graduate qualifications. She has her own Business Consultancy and has a passion for the environment and Adel in particular. Francis is Chairman of the Adel Crag Community Association working to make the area safe and a more pleasant place to live. He has a keen interest in social housing and the needs of tenants and is currently serving on the Customer Involvement Network Executive Committee, part of West North-West Homes, Leeds (WNWhL). A former Board Director for the Leeds Tenants Federation and was a Transport Manager with over 33 years service in the NHS. Paul has lived in Adel with his family for 16 years. Both of his children attend/have attended Adel St John Primary school. He enjoys cycling, bread-making, treehouse-building and playing music. He works in Leeds as an Architect and Urbanist. I am very interested in the Adel Neighbourhood Forum because I keep the Older People’s Action in the Locality (OPAL) Office in nearby Holt Park up to speed on what is ‘happening’ in Adel Forum. I am the Chair of OPAL and access to information is vital to older people. Most of our members are in the 70-100 years young age bracket. Barrie has devoted his life to helping people become architects of their own future. This has been achieved initially with his experience of running a Department at Leeds University and then reinforced through his own companies. He continues to have a portfolio career nationally and now locally as a Director of Aspire-igen and of Disability Sport Yorkshire. A resident of Adel for 40 years he helped to draft the Adel Neighbourhood Design Statement and he was also Chairman of the Adel Association for 8 years. Times can be arranged to suit your personal circumstances.